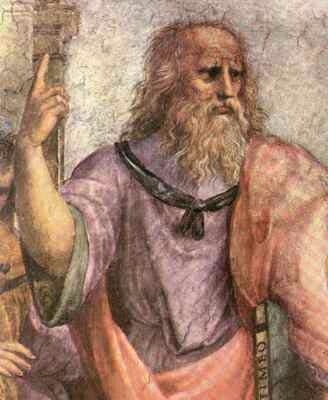 “Plato, when he writes The Republic, spends one paragraph on economics; he spends forty pages on music. “The Greeks questioned everything, especially their gods, at least in the age of the philosophers. They never questioned nine of their gods, the Muses. The most skeptical Greeks said ‘we have to admit that music must come from a divine source.’ Nobody until Aristotle ever had anything other than the divine-inspiration theory of the origin of music. In Greek thought, [Aristotle] was the first one to say, ‘it’s a rational human craft.’ Maybe he had a tin ear. “There was a Chinese emperor who, according to Legend, ran China by music for about forty years…He didn’t have many soldiers. And there was civil war breaking out all over the place. He disguised himself as a peasant and visited each of his…major cities once a year, walking through the streets and listening to the music that people sang and played. And if the music was in harmony with the Tao– the way of the universe, of nature, and of sanctity in a human life– he would let it alone. But if the music was disharmonious and expressed antagonism to the Tao– he was sensitive to that– he would go back to his capital and send soldiers to that city, who would then be on hand when the revolt broke out a month later. 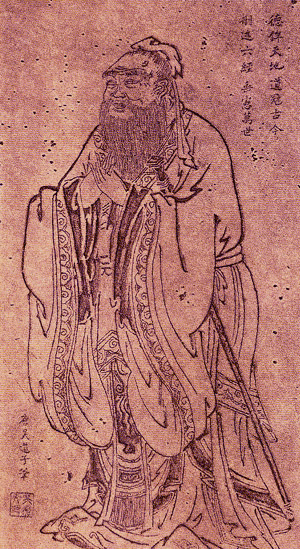 “Confucius, the most practical social reformer in the history of the world, who held China together for over two thousand years, was once so overcome by music that for two days he could not speak or eat. “Music is present in every culture we know of, no matter how primitive…Most historians and anthropologists think that music evolved rather late. The original language was purely pragmatic, like grunts and groans…And then came something like the first writing, which many of them say was uniform numbers for the purpose of commerce– ‘two bulls for four goats.’ And then came articulate sentences– ‘I like the sky, do you like it too?’ And then came the elaboration of that in poetic language– “roses are red, violets are blue.’ And then came music on top of the poetic languages. -Peter Kreeft, in a lecture given to the Sacred Arts Foundation, 9/12/09.